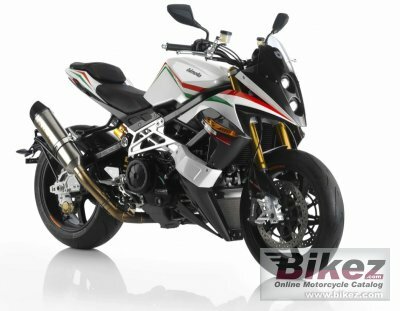 2019 Bimota DB9 Brivido. Picture credits - Bimota. Submit more pictures. A Phenomenal hand-made muscle street and #64257;ghter with incredible torque and aggressive braking ability. The roadster that comes from the DB8 Superbike, which maintains the standards of excellence, although the triangular repositioning of the seat-footrest-tank has been thoroughly engineered to ensure a more comfortable ride in urban use. Front brakes: Double disc. Brembo calipers four pistons, four separates pads, radial pump. Ask questions Join the 19 Bimota DB9 Brivido discussion group or the general Bimota discussion group. Enter your e-mail to join the 2019 Bimota DB9 Brivido forum and get notification of answers and new messages about this bike. You can unsubscribe with a single click. Bikez does not display, sell	or misuse e-mail addresses. Get a list of related motorbikes before you buy this Bimota. Inspect technical data. Look at photos. Read the riders' comments at the bike's discussion group. And check out the bike's reliability, repair costs, etc. Show any 2019 Bimota DB9 Brivido for sale on our Bikez.biz Motorcycle Classifieds. You can also sign up for e-mail notification when such bikes are advertised in the future. And advertise your old MC for sale. Our efficient ads are free. You are also welcome to read and submit motorcycle reviews.